Belgium’s Upgrade Energy is finishing construction of a first phase of a solar power plant with a capacity of 5.9 MW in Korosten district of Zhytomyr region, installing 18,000 PV modules, the press service of the Zhytomyr Regional Administration has reported, referring to acting Director of the agricultural and industrial development and economic policy of the regional administration Viktor Hradivsky. The total capacity of Irshansk solar power plant will be 25-30 MW. In 2018, the Zhytomyr Regional Administration signed 14 memorandums with investors in solar power plants. In particular, Altostrata Energy Limited (Ireland) proposed a 65 MW solar power plant project in Luhyny district. In April, Altostrata Energy signed an agreement on connecting the plant to the power grid, and at the end of the month the company intends to start construction. In the summer of 2019, a 10 MW plant is also expected to be launched in the village of Chopovychi, Malyn district, by the GESS group of companies (the United States). In March, public hearings were held on the establishment of a feed-in tariff for a 20 MW solar power plant on the territory of the Khoroshiv merged territorial community, which Global Ecopower SA (France) intends to build. As reported, Modus Energy International B.V. LLC (Lithuania) plans to build a 35 MW solar power plant on the territory of Lubar merged community. 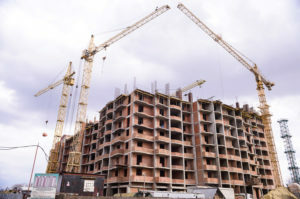 In February 2019, the company received a declaration for construction, as well as technical conditions for connection from national energy company Ukrenergo. Eney International LLC is preparing land utilization documentation for the construction of a 55 MW solar power plant in the Brusyliv district. 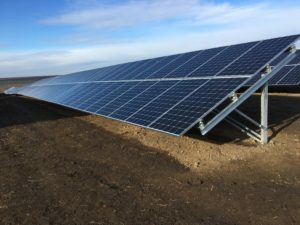 A subsidiary of Naftogaz-Energoservice is developing a construction project for a 30 MW solar power plant on the territory of the Dubysche village council of Chudniv district. Currently, one industrial 15 MW Hanska solar power plant (the investor is Better Energy Energo, Denmark) is operating in Zhytomyr region, which was launched at the end of last year. 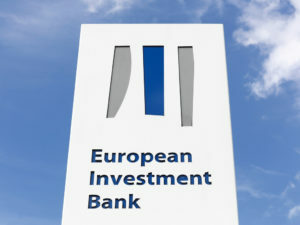 The European Investment Bank (EIB) will provide grant assistance to the State Agency of Automobile Roads of Ukraine (Ukravtodor) to develop a feasibility study for the construction of the Lviv-Mukachevo-Uzhgorod highway with a branch to the Hungarian border, the agency’s press service has reported. “This corridor is very important for Ukraine, because the export flow to the countries of Southern and South-Western Europe is directed through it. In addition, the new road will also provide a stable communication with Zakarpattia region,” Oleksandr Kava, the adviser to the Ukravtodor head, said. According to the report, the new road will connect with the Hungarian M3 highway through the Dyida checkpoint and the Slovak D1 highway through the Uzhgorod checkpoint. The maximum speed on the highway will be 130 km/h. “This road will reduce the trip time in the direction of Lviv-Mukachevo to an hour and a half instead of the current 3.5 hours,” the report says. 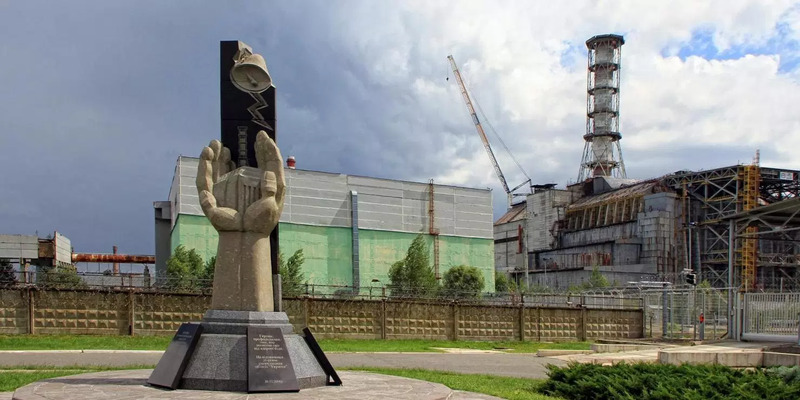 Construction of one more solar power plant with a capacity of 762 kW on the territory of the Chornobyl exclusion zone will be started in July 2019 and completed in December, the Ecology and Natural Resources Ministry has told Interfax-Ukraine. The project is financed by the Government of Spain. According to Svitlana Hrynchuk, Director of the Department for Climate Change and the Ozone Globe of the Ecology and Natural Resources Ministry, the solar power plant in Chornobyl is being built under a program of targeted environmental (“green”) investments that Ukraine received from Spain, transferring its emission quotas for greenhouse gases. According to the ministry, at the end of 2018, a joint Ukrainian-Spanish committee, which controls the efficiency and feasibility of using the Kyoto funds provided by the Spanish government, approved the respective project to reconstruct the asphalt concrete pavement on the territory of the Chornobyl sports stadium by installing the solar power plant. The project was developed by state-owned enterprise Center for Organizational, Technical and Information Support of the Exclusion Zone Management. The ministry also said that at the end of March, the Ukrainian-Spanish delegation, which included Ambassador of Spain to Ukraine Silvia Josefina Cortes Martin, as well as representatives of Ukrainian ministries and departments, inspected the territory where the plant will be installed. 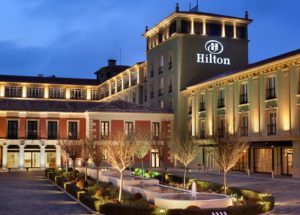 Cooperation with the Spanish government was resumed in 2016 after an almost 10-year break, the ministry recalled. About 10 years ago, the Ministry of Agriculture, Fisheries and Food of Spain bought the so-called Assigned Amount Units from Ukraine for EUR 30 million. Currently, a solar power plant with a capacity of 1 MW is operating in the Chornobyl zone. The plant was built by Ukrainian-German consortium Rodina-Enerparc AG in 2018. The consortium plans to expand the plant’s capacity to 100 MW. During a working visit to Chernivtsi region Ukrainian Infrastructure Minister Volodymyr Omelyan examined a bridge in the village of Roztoky of Putyla district, the press service of the Infrastructure Ministry has reported. “In 2008, as a result of flooding, roads and bridges of Chernivtsi region were significantly damaged… In the continuation of the construction of a bridge in the village of Roztoky, UAH 75 million were provided. UAH 100 million will be sent this year for the bridge over the Prut River. These are real steps of restoring the infrastructure of Ukraine. I thank the President of Ukraine, who identified the infrastructure as a key priority, as well as the governments of [Arseniy] Yatsenyuk and [Volodymyr] Groysman, which make it possible to gradually change the road network, repair bridges and give people new quality of travelling Ukraine,” the ministry said on the official page in the Facebook network on Sunday night. Total subventions from the Road Fund for local roads in 2019 will be about UAH 15 billion. “This is a large amount of financing, which has never happened before. All these funds should be used to restore roads and bridges in the regions, 20% of the funds can be spent on public roads. 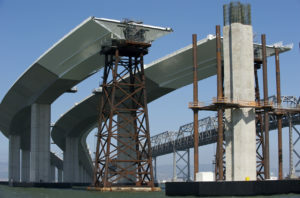 But for great effect, I urge local authorities to co-finance road repairs,” Omelyan said.